Durvet Layer Boost with Omega-3 contains a source of marigold and vitamin D3 for layer chickens. 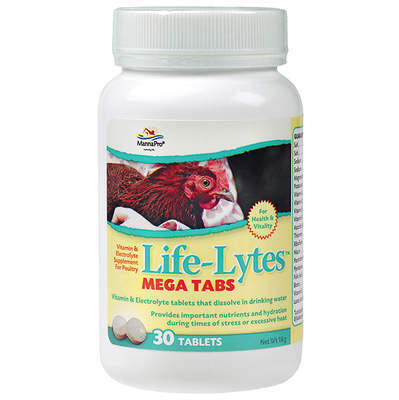 The all-natural, antibiotic-free, soluble powder is specially formulated with a blend of vitamins, electrolytes and enzymes for daily use with layer chickens and contains a source of direct fed microorganisms. To use mix one scoop per gallon of drinking water and refresh daily. 100gm jar makes approximately 25 gallons. Scoop included. Each 4 gm scoop contains a guaranteed minimum 1.12% sodium, min 0.4% potassium, min 84,500 IU/tsp vitamin A, min 40,700 IU/tsp vitamin D3, min 35 IU/tsp vitamin E, min 129 mg/tsp ascorbic acid, 7.04x10⁸ CFU/tsp total lactic acid producing bacteria, and phytase (A. oryzae).